In this November 2010 post regarding the FCPA guidance, I flagged the below statement as one of the ten most meaningful statements in the Guidance. I flagged the statement because … well … it was an accurate statement of black-letter law, but one often overlooked when analyzing Foreign Corrupt Practices Act issues in the connection with merger and acquisition activity. “Requestor is a multinational company headquartered in the United States. Requestor intends to acquire a foreign consumer products company and its wholly owned subsidiary (collectively, the “Target Company”), both of which are incorporated and operate in a foreign country (“Foreign Country”). In the course of its pre-acquisition due diligence of the Target Company, Requestor identified a number of likely improper payments – none of which had a discernible jurisdictional nexus to the United States – by the Target Company to government officials of Foreign Country, as well as substantial weaknesses in accounting and recordkeeping. In light of the bribery and other concerns identified in the due diligence process, Requestor has set forth a plan that includes remedial pre-acquisition measures and detailed post-acquisition integration steps. Requestor seeks an Opinion as to whether the Department, based on the facts and representations provided by Requestor that the pre-acquisition due diligence process did not bring to light any potentially improper payments that were subject to the jurisdiction of the United States, would presently intend to bring an FCPA enforcement action against Requestor for the Target Company’s pre-acquisition conduct. Requestor does not seek an Opinion from the Department as to Requestor’s criminal liability for any post-acquisition conduct by the Target Company. Requestor intends to acquire 100% of the Target Company’s shares beginning in 2015. The Target Company’s shares are currently held almost exclusively by another foreign corporation (“Seller”), which is listed on the stock exchange of Foreign Country. Seller is a prominent consumer products manufacturer and distributor in Foreign Country, with more than 5,000 full-time employees and annual gross sales in excess of $100 million. The Target Company represents part of Seller’s consumer products business in Foreign Country and sells its products through several related brands. Seller and the Target Company largely confine their operations to Foreign Country, have never been issuers of securities in the United States, and have had negligible business contacts, including no direct sale or distribution of their products, in the United States. In preparing for the acquisition, Requestor undertook due diligence aimed at identifying, among other things, potential legal and compliance concerns at the Target Company. Requestor retained an experienced forensic accounting firm (“the Accounting Firm”) to carry out the due diligence review. This review brought to light evidence of apparent improper payments, as well as substantial accounting weaknesses and poor recordkeeping. On the basis of a risk profile analysis of the Target Company, the Accounting Firm reviewed approximately 1,300 transactions with a total value of approximately $12.9 million. The Accounting Firm identified over $100,000 in transactions that raised compliance issues. The vast majority of these transactions involved payments to government officials related to obtaining permits and licenses. Other transactions involved gifts and cash donations to government officials, charitable contributions and sponsorships, and payments to members of the state-controlled media to minimize negative publicity. None of the payments, gifts, donations, contributions, or sponsorships occurred in the United States and none was made by or through a U.S. person or issuer. The due diligence showed that the Target Company has significant recordkeeping deficiencies. The vast majority of the cash payments and gifts to government officials and the charitable contributions were not supported by documentary records. Expenses were improperly and inaccurately classified in the Target Company’s books. In fact, the Target Company’s accounting records were so disorganized that the Accounting Firm was unable to physically locate or identify many of the underlying records for the tested transactions. Finally, the Target Company has not developed or implemented a written code of conduct or other compliance policies and procedures, nor have the Target Company’s employees, according to the Accounting Firm, shown adequate understanding or awareness of anti-bribery laws and regulations. In light of the Target Company’s glaring compliance, accounting, and recordkeeping deficiencies, Requestor has taken several pre-closing steps to begin to remediate the Target Company’s weaknesses prior to the planned closing in 2015. “Based upon all of the facts and circumstances, as represented by Requestor, the Department does not presently intend to take any enforcement action with respect to preacquisition bribery Seller or the Target Company may have committed. It is a basic principle of corporate law that a company assumes certain liabilities when merging with or acquiring another company. In a situation such as this, where a purchaser acquires the stock of a seller and integrates the target into its operations, successor liability may be conferred upon the purchaser for the acquired entity’s pre-existing criminal and civil liabilities, including, for example, for FCPA violations of the target. “Successor liability does not, however, create liability where none existed before. For example, if an issuer were to acquire a foreign company that was not previously subject to the FCPA’s jurisdiction, the mere acquisition of that foreign company would not retroactively create FCPA liability for the acquiring issuer.” FCPA – A Resource Guide to the U.S. Foreign Corrupt Practices Act, at 28 (“FCPA Guide”). This principle, illustrated by hypothetical successor liability “Scenario 1” in the FCPA Guide, squarely addresses the situation at hand. See FCPA Guide, at 31 (“Although DOJ and SEC have jurisdiction over Company A because it is an issuer, neither could pursue Company A for conduct that occurred prior to the acquisition of Foreign Company. As Foreign Company was neither an issuer nor a domestic concern and was not subject to U.S. territorial jurisdiction, DOJ and SEC have no jurisdiction over its pre-acquisition misconduct.”). Assuming the accuracy of Requestor’s representations, none of the potentially improper pre-acquisition payments by Seller or the Target Company was subject to the jurisdiction of the United States. For example, none of the payments occurred in the United States, and Requestor has not identified participation by any U.S. person or issuer in the payments. Requestor also represents that, based on its due diligence, no contracts or other assets were determined to have been acquired through bribery that would remain in operation and from which Requestor would derive financial benefit following the acquisition. The Department would thus lack jurisdiction under the FCPA to prosecute Requestor (or for that matter, Seller or the Target Company) for improper payments made by Seller or the Target Company prior to the acquisition. See 15 U.S.C. §§ 78dd-1, et seq. (setting forth statutory jurisdictional bases for anti-bribery provisions). The Department expresses no view as to the adequacy or reasonableness of Requestor’s integration of the Target Company. The circumstances of each corporate merger or acquisition are unique and require specifically tailored due diligence and integration processes. Hence, the exact timeline and appropriateness of particular aspects of Requestor’s integration of the Target Company are not necessarily suitable to other situations. In the release, the DOJ got it right. Not all bribery that allegedly occurs in the world is subject to the DOJ’s jurisdiction and just because a company that is subject to the FCPA acquires a foreign company, such an acquisition does not magically create FCPA liability where there was none before. In layman’s terms, what happened is similar to the following: a foreign person – not subject to U.S. law – was speeding in a foreign country and just because a U.S. company then purchases the car does not create liability under U.S. law for speeding. The DOJ also got it right as a matter of policy. By its opinion, the contemplated transaction is likely to close whereas a contrary opinion might have caused the Requestor to abandon the transaction. If the transaction indeed closes, a previously compromised foreign company is going to be brought within the corporate family of a U.S. company subject to the FCPA with an existing internal controls system. 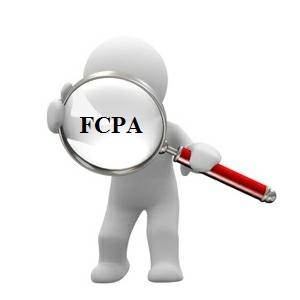 The DOJ’s FCPA Opinion Procedure program is often criticized because of the length of time it takes to obtain an opinion. On this issue, the opinion release highlights the following dates. The request was initially submitted on April 30th, the Requestor provided supplemental information on May 12th, July 30th, and October 9, 2014, and the release was issued on November 7th. Thus, from start to finish, the process took approximately six months. The FCPA, when enacted, directed the DOJ Attorney General to establish a procedure to provide responses to specific inquiries by those subject to the FCPA concerning conformance of their conduct with the DOJ’s “present enforcement policy. Pursuant to the governing regulations of the so-called DOJ Opinion Procedure Release Program, only “specified, prospective—not hypothetical—conduct” is subject to a DOJ opinion. While the DOJ’s opinion has no precedential value, its opinion that contemplated conduct conforms with the FCPA is entitled to a rebuttable presumption should an FCPA enforcement action be brought as a result of the contemplated conduct. Since the program went live in 1980, the DOJ has issued approximately sixty releases on a wide range of issues from charitable contributions to gifts, travel and entertainment, to third parties.